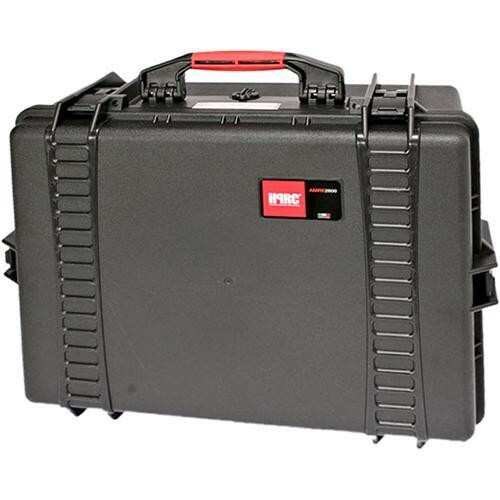 Store, transport and protect, your gear with the lightweight, waterproof, unbreakable, olive HPRC (High-Performance Resin Cases) 2600E Hard Case. The case can be used to carry audio, photo, video equipment, and much more. It meets ATA 300 specifications for transit cases. Virtually unbreakable, the hard-resin shell is designed for protection. The interior rubber O-ring ensures the case is air and watertight. Carry your case with the comfortable, soft-grip handle. To maintain proper pressure, the case has an air pressure release valve. This case has an empty interior. Box Dimensions (LxWxH) 21.65 x 16.53 x 8.46"
2600E HPRC Hard Case with Empty Interior (Olive) is rated 5.0 out of 5 by 1. Rated 5 out of 5 by Anonymous from Excellant Value This case is an understated protective shipping and carry case.The four latches are tight and allow the user quick access to the product it protects. My use is a protection and carry case for my tiny Z scale model train layout and train.When the top cover is lifted showing the layout and the model train is instantly in play.